Everdure by Heston Blumenthal is creating an evolution in the BBQ world. 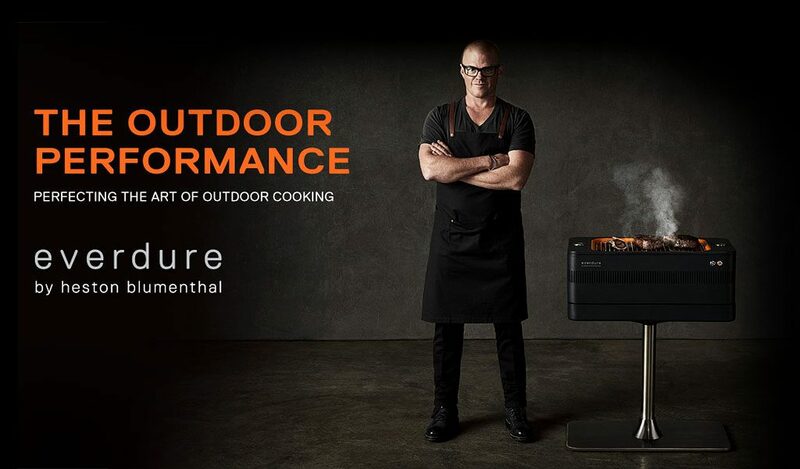 Born out of Australia and developed alongside the 3 Michelin Star celebrity chef, the Everdure by Heston Blumenthal range includes both charcoal and gas BBQ’s. Whether you are cooking fish, chicken, vegetables, or a pig on a rotisserie, you can put on the perfect garden party. When it comes to charcoal it’s all about the flavour. Everdure by Heston Blumenthal charcoal barbeques come packed with features to ensure you master the heat for the most flavoursome dishes. The HUB gives you the full barbequing experience, with a large cooking area and easy charcoal management for optimum heat management. The FUSION blends all the modern technology without losing the basic, raw charcoal element. Both include the patented Fast Flame Ignition System for hot – ‘ready to cook’ – charcoal in just 10 minutes. The HUB and FUSION both feature Rotiscope Technology, a patented integrated rotisserie system. "A BBQ doesn’t have to be confined to the back garden." The CUBE is a lightweight BBQ, ideal for a beach or for a summer picnic. An integrated bamboo tray provides space for food preparation and 2 cool-to-touch carry handles allow you to manoeuvre the CUBE easily. If you prefer the control that a gas BBQ provides then try the Everdure by Heston Blumenthal gas powered cooking machines. With the FORCE and FURNACE BBQ’s you are in complete control - high performance burners for super-fast searing; ergonomic taps with rotary ignition; flat and open grills to suit your style of cooking. The high hood is ideal for convection cooking and the large cooking area means your food will be evenly cooked and delicious. With 20 years of professional experience and extensive cooking knowledge, Heston Blumenthal knows what makes a perfect BBQ. 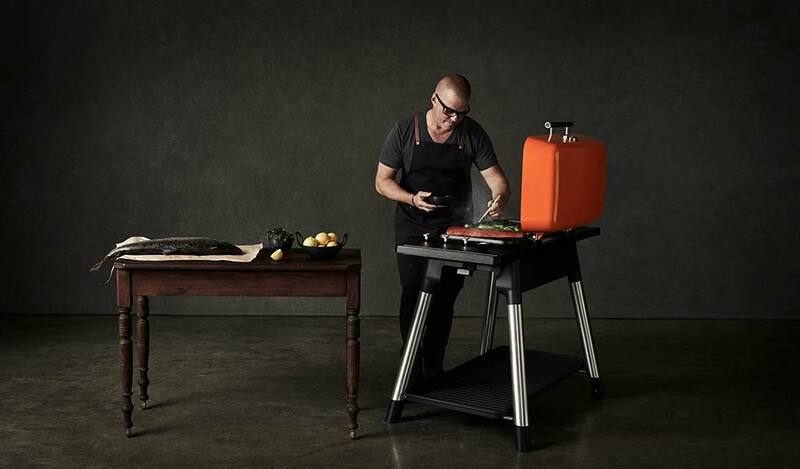 Heston helped design luxury BBQ’s with a beautiful, contemporary look, enabling you to cook succulent meals in style. Fusing the latest in technology with some good old fashion barbequing techniques, Everdure by Heston Blumenthal is ideal for every garden, perfecting the art of outdoor cooking for the best of times.